Ms. Misiuk teaches Judaica courses in Hebrew language and Jewish history at Odesa National University, a highly-regarded institution founded in 1865. She also lectures in Jewish literature at the leading Odesa pedagogical institute, leads a Jewish history club at the Shorashim Jewish History Museum, prepares tourist guides, publishes articles on various Jewish topics, and frequently appears on television as on expert on Jewish history. 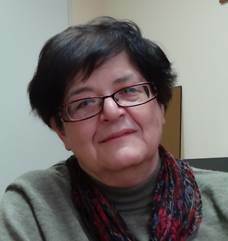 Anna Misiuk is a largely self-taught authority on Russian and Ukrainian Jewish history, particularly the rich Jewish history of Odesa. She believes that Jewish literature is the key to Jewish civilization. Ms. Misiuk prepares tour guides in Odesa Jewish history for both the city tourist bureau and for specifically Jewish groups, such as Migdal and Hillel. The tourist bureau groups usually consist of 15 to 20 individuals, the majority of whom are not Jewish, who meet once weekly from October through May, sometimes in a lecture format and sometimes in walking tours. The specifically Jewish groups are more intense, meeting twice weekly for lectures and twice weekly for walking tours of Jewish-interest sites during a similar five-month period. Many of the Jewish guide students enroll in the course for "self-improvement," Ms. Misiuk said; they are not interested in becoming professional guides, but want to learn about their Jewish heritage and find that the tour guide course provides a good introduction to Jewish life without forcing them into a religious atmosphere that they find objectionable. Some of these Jewish students, Ms. Misiuk continued, know little about Judaism or Jewish life; they often are overwhelmed by the intensity of the material she presents. For example, many have never heard of Pesach; when she mentions it, they ask what it is, not even knowing that it is a holiday. Although those in the Hillel group are young adults, some individuals in the Migdal and city tourist bureau groups are well into middle age, said Ms. Misiuk. Admiring the Jewish-content programs at the Migdal center, Ms. Misiuk is drawn to it rather than to Beit Grand, although she acknowledges that the latter is an important venue for large community events. Beit Grand is well-equipped and well-managed, she said, but Migdal is more "energetic" and offers a rich array of Jewish activities. In response to a question about the former Moriah center and its collection of Jewish books (see above), Ms. Misiuk repeated Mr. Katzen's statement that most of the books remain unused, sealed in storage cartons. The Migdal library is too small to accommodate them and, additionally, Migdal lacks the trained staff (professional librarians and other resource people) to use them properly, she stated. She continued that she herself cannot find individuals in the city who are qualified to lead discussion groups on contemporary Jewish literature. Outside financial assistance is required to expand the library and train individuals in Jewish literature and history; the situation presents a real dilemma, she said, because even if such people could be properly trained, it is unlikely that funds could be found for their employment in local Jewish or academic institutions. 11. The Odesa Holocaust Museum is a recent addition to Jewish sites in the city, having opened its doors on June 22, 2009. The Museum occupies a small two-story section of a city-owned commercial building, with offices, a library, and a multi-purpose room/conference hall on the first floor and five small exhibit halls on the second floor. The Museum pays a subsidized rental fee to the municipality, but is responsible for utilities and other expenses. The Museum focuses on the Holocaust in Odesa and the region known as Transdniestria, that is, the area between the Dniester and Bug rivers in southwest Ukraine (and neighboring east Moldova). According to the Museum, 272,622 Jews, including 23,000 Jewish children, were killed by Romanian and German forces in this region during the Holocaust. Some Odesa Jews were forced into ghettoes and burned alive, others were transported to local concentration camps and subsequently froze to death during a harsh winter, and many from both the city and smaller villages were killed by firing squads. 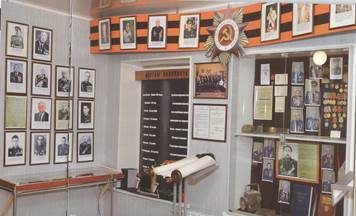 The five small exhibit halls are crowded with photos and artifacts of the War years. These include letters from the front, military uniforms and medals, family photos and histories, period furniture and household belongings, a model of a local concentration camp, replicas of German war documents, and other materials. The exhibit also shows photos of local Righteous Gentiles, i.e., non-Jews who rescued/sheltered Jews and information about their lifesaving actions. Photos in this exhibit are of Jewish Red Army veterans who were recognized for valor during World War II. The black-colored board is entitled Victims of the Holocaust; it lists various Jewish population centers in the region and the number of Jews killed in each. Development of the museum was strongly encouraged by an association of former ghetto and concentration camp inhabitants. The exhibits have been created by professionals who have consulted Yad Vashem in Israel and other museums. 12. Shaarei Tzion (Gates of Zion), the JDC hesed or welfare center in the Odesa region, is located on the ground level of Beit Grand. In addition to Odesa itself, the reach of the hesed extends over 300 kilometers and includes satellite heseds in Balta (north of Odesa), Bilhorod-Dniestrovsky (southwest), and Izmail (far southwest, near Romanian border). Anatoly Kesselman, director of the hesed, stated that it maintains 7,000 Jews and righteous gentiles on its roster, a continuing decline (due to deaths of elderly clients and tightening of requirements for admission of new clients). Approximately 1,300 of these clients receive homecare services, said Mr. Kesselman. 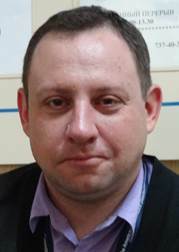 Anatoly Kesselman, director of JDC hesed services in the Odesa region. Mr. Kesselman stated that pensions range from $100 to $120 monthly, which is insufficient for the purchase of both food and common medications. Pensions are being paid on time now, he said, but no one is confident that timely payments will continue. In response to a question, Mr. Kesselman said that inflation is "terrible" (ужасно); the cost of bread is somewhat controlled through government regulations, but the price of salami has risen by about 30 percent in recent months, he explained, and the price of fish has increased by a staggering 300 percent. JDC continues to sell discount cards for groceries and pharmaceutical products to its clients. Such cards are valid in specific chains of stores in each category. Other types of food assistance. particularly the storied communal dining halls or soup kitchens, have been largely abandoned due to cost. Homecare workers prepare meals for their specific clients and the hesed serves hot meals to those in its daycare program, but the large-scale provision of prepared meals has ended. The Odesa hesed daycare program, said Mr. Kesselman, includes about 200 people, each of whom comes to the hesed in a group for a full day of activities, including meals, two to three times each month. 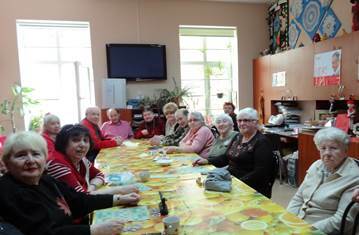 The writer spoke with this group of Odesa hesed daycare clients, some of whom had been playing bingo.They were disappointed by her inability to speak Yiddish. German and Romanian forces invaded Ukraine on June 21-22, 1941. Odesa was occupied on October 16, 1941, by the Fourth Romanian Army. Soviet forces liberated Odesa in April 1944.